According to Jacobsen’s description of this item in “Alaskan Voyage,” it was collected in Chenega (Knight Island) form a grave of a mother and child. 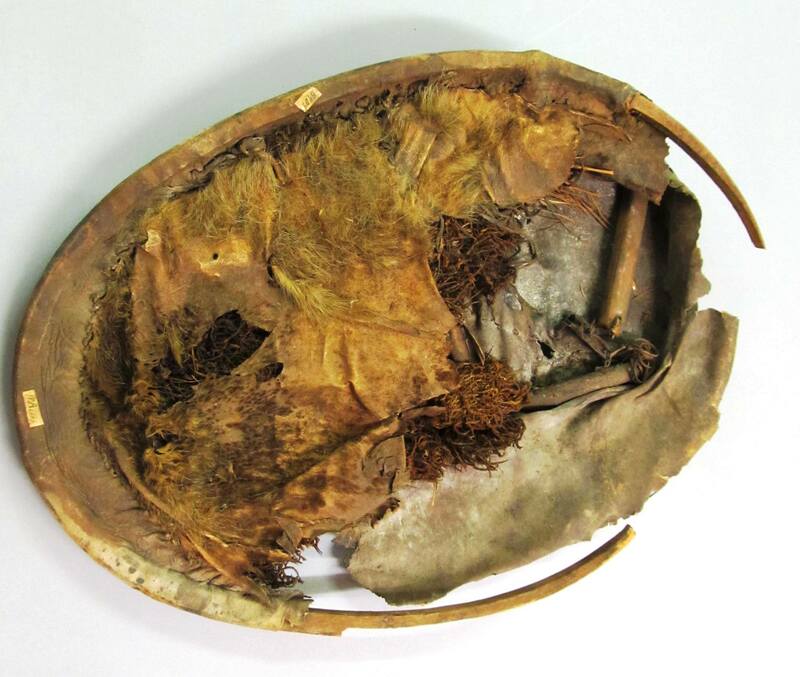 Jacobsen discarded the human remains on site, as he judged them “almost completely decayed.”* The carrier appears to be made of seal skin affixed to a wooden frame – some fur on the seal skin and some of the moss used to fill out the carrier (as well as for “diapers”?) are also largley intact. *Jacobsen writes: “In one grave there was a woman and a child. Hard as I tried to preserve them I did not succeed, and I came away with only the woman’s skull and the child’s cradle. It was a great problem to transport the skeletons to the water’s edge. We were not the first visitors here, for the collector from the Smithsonian Institution had preceded us” (Jacobsen, J. A. 1977, Alaskan Voyage 1881-1883. The University of Chicago Press. Pp. 205). Jacobsen might be referring to “Fischer” as “the collector from the Smithsonian.” Jacobsen came to the Chenega area directly from Kodiak on a schooner with Captain Anderson. Jacobsen and Cpt. Anderson made an agreement that half of everything they find would go to Fisher. The William J. Fisher collection is housed at Smithsonian Institution and some of pieces were featured in various exhibitions at the Arctic Studies Center in Anchorage.